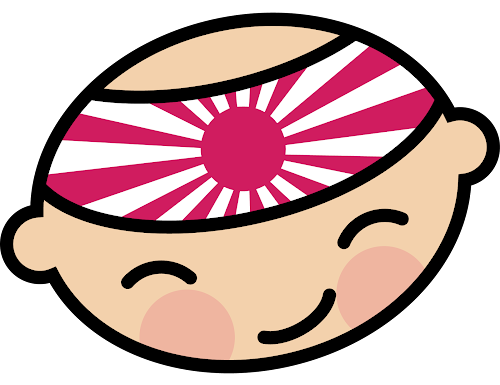 Do you really think you know all about sashimi? 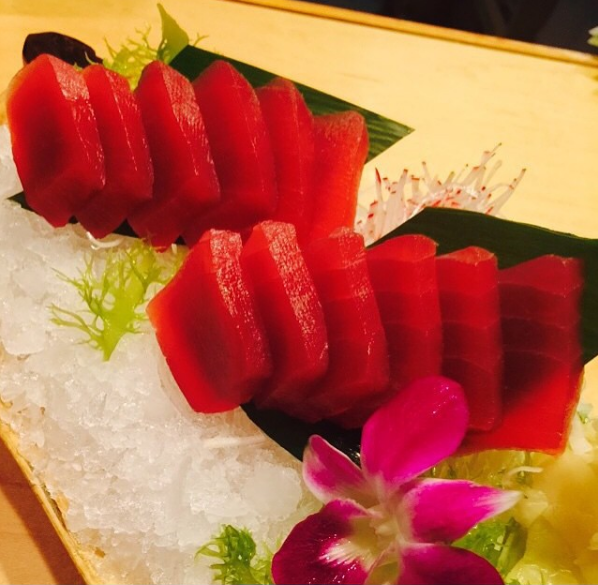 Most of the sushi lovers knows about sashimi, yes, it is true, some may say they love this raw fish cuts with no rice and no seaweed at all. 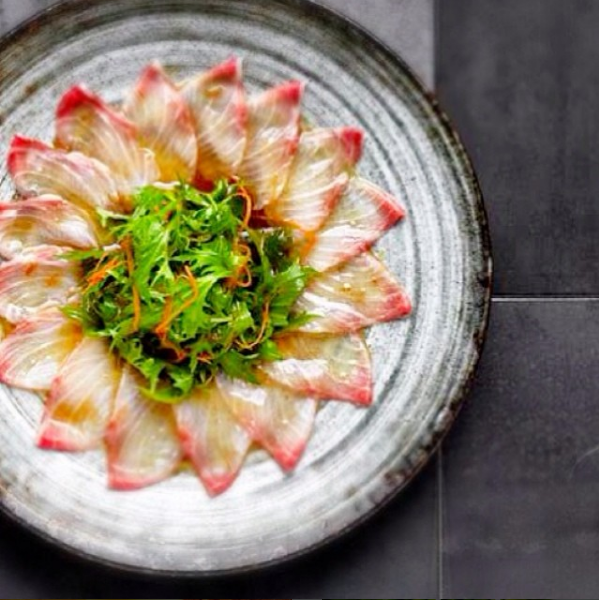 Depending on the type of fish we could match it with wasabi, gari (ginger in Japanese) or even both together. It is one of the oldest culinary preparations in Japan. 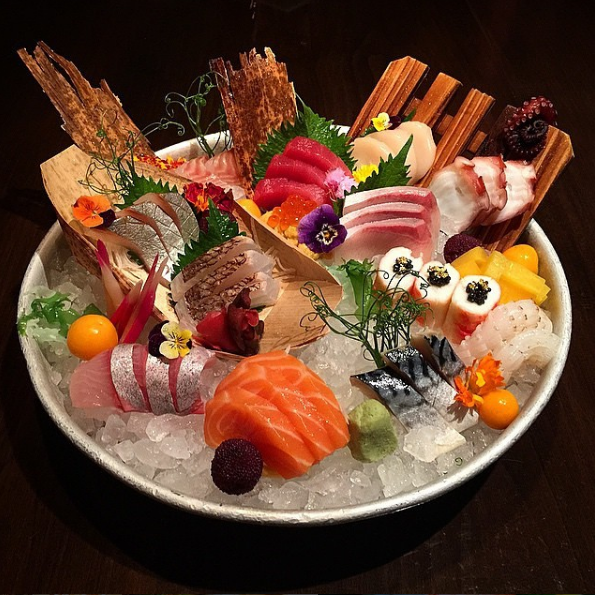 A real sashimi lover should always ask for a assorted sashimi (Sashimi moriawase in Japanese), however, for some beginners is inadvisable, but there are people with good taste and those one dare to try the most rare sashimi. There are a lot of confusion in the Japanese hospitality market when we talk about sashimi, most of the time because when we ask for this cuts in every single sushi bar or restaurant, our dish comes in different ways, sometimes we may see that there is no pattern at all even when we order the same fish, the cuts are completely alike in terms of size, shape, pieces and presentation. Another thing is the name, 90% of the time are wrong. I must say that some chef does have the skills, some does not, others just does not know the techniques to do it, and there are chef that just were taught to do it in a completely wrong way and those are the dangerous ones, because they spread the word and at the end they spoil this amazing traditional dish. Did you know there are different cutting techniques to make the sashimi? The sogizukuri, also called sogi-giri is a clean cut using the knife tilted in 45 degrees. As Japanese knives (hocho) have the cutting edge on one side, like the samurai katanas, to make this type of cut the chef must do it from right to left, moving the knife toward to the left hand. The usuzukuri, which literally means fine cuts, is made in the same way that the sogizukuri but in very thin slices, almost transparent, requiere more skills. 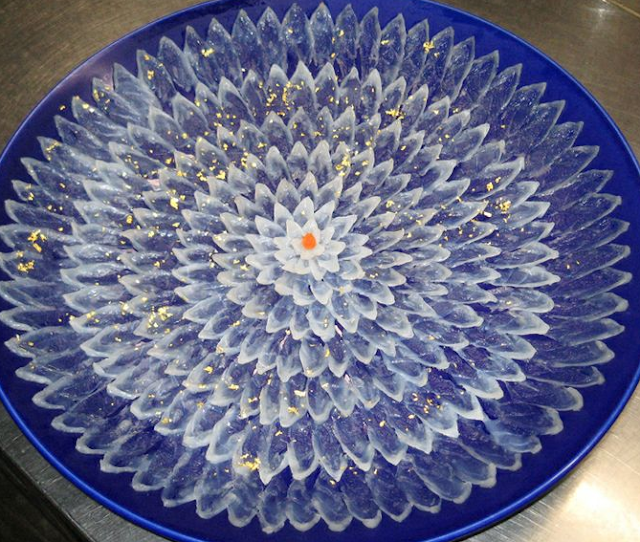 This sashimi cut is presented placing the pieces in a spiral, simulating the petals of a chrysanthemum, the most important Japanese flower. This type of cut is often used for white fish, the reason is simply, its meat is harder than other types of fish, that way we could eat it easily. The hirazukuri or hira-giri, is a cut using the knife in a perpendicular way and towards the right hand. This type of cut is used for oily fish such as tuna or salmon. Is the thicker cut of all. The most amazing one is a special style that generate a lot controversy and interest, the ikizukuri, here the chef cuts and served the sashimi, while the fish is still alive. There are different styles in which a chef may serve the dish but the most common way is to serve it on a plate with the filleted meat assembled on top of the body. Ikizukuri fish may be prepared with only three knife cuts by the chef. They are usually presented with the head still whole so that customers are able to see the continuing gill movements.